A delicious and yet tellingly serious novel by a master of short prose writing, about the nightmare of a man whose life is a list of angsts and phopbias. It plunges the reader into the heart of the irrational logic of fear. Harri is a reporter on a small-town newspaper. All the worst fears that inhabit Harri’s mind are thrown into overdrive when he hears that his wife is pregnant. He is besieged with thoughts of miscarriage, crib death, bacterial infections, and his own sins returning to haunt him. At night he wakes his wife and tries to talk to her, but she simply yawns, forgives him everything, and turns over and goes back to sleep. When the child is born Harri moves the cot to the far wall of the bedroom, because “a stone might fly through the window”. Both wife and infant find they cannot take his fussing. Harri feels hurt and wounded, and sets off for Helsinki to collect the results of an AIDS test. His car breaks down and he has to rely on the hospitality of a none-too-close acquaintance, Eero. Eero is a sportswriter and a man with a vision about life. After hearing of Harri’s worries, Eero decides the pair should take a trip in his car. Harri’s role is to sit in the passenger seat – and just go with the flow and let things happen. And plenty happens, for Harri has had the good fortune to hitch a ride with someone a good deal stronger than himself. 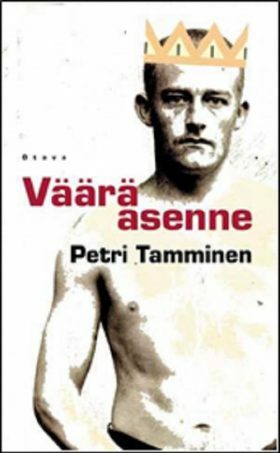 The Wrong Attitude marks Petri Tamminen’s undisputed breakthrough as a writer. The book was shortlisted for the Runeberg Prize.